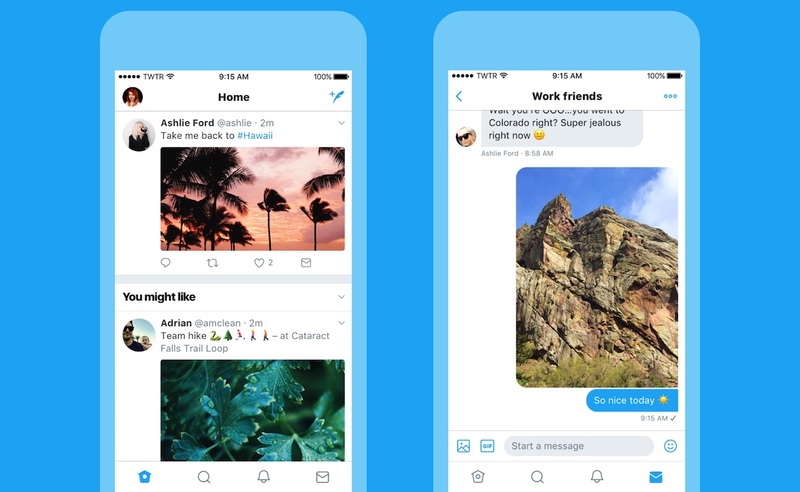 Twitter today revealed a new design coming to twitter.com, Twitter for iOS, Twitter for Android, TweetDeck, and Twitter Lite over the next few days and weeks. 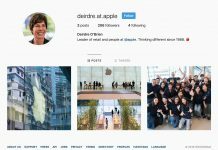 The company said the redesign was intended to make an app that’s faster and easier to use, while also fixing things that users didn’t like about the current design. 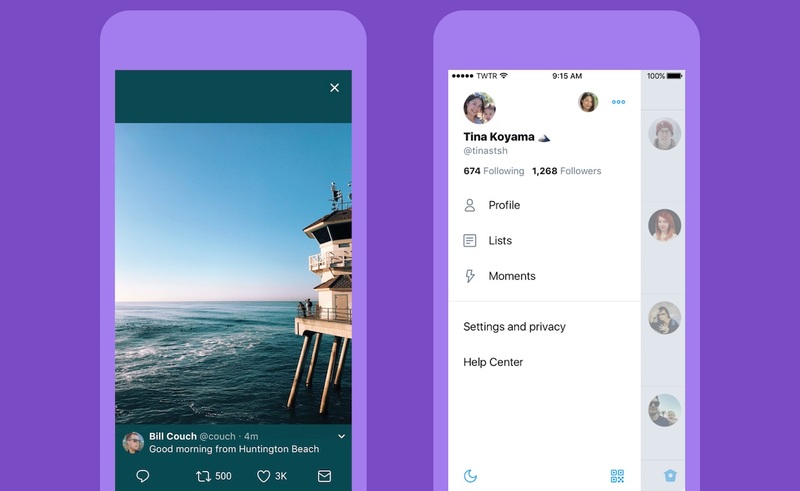 The first new change is a new side navigation menu with profile, additional accounts, settings, and privacy, which Twitter said results in fewer tabs at the bottom of the app and reduces clutter. 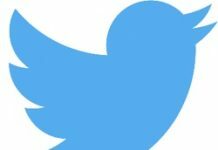 This brings all of Twitter’s various apps more in line with the current iteration of the service on Android. 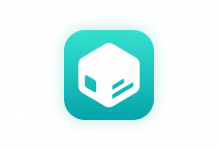 Hoping to make the service accessible to newcomers, more intuitive icons intend to make it easier to engage with Tweets. The reply icon (currently an arrow) will now be a speech bubble because people thought the arrow meant delete or go back to a previous page. All of the icons are now lighter, and all Tweets update instantly with reply, Retweet, and like counts (except on twitter.com and Twitter Lite) so it’s easier to see updates on a Tweet in real time. 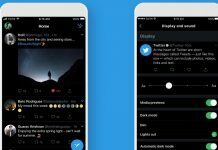 Twitter is also adding more accessibility choices, including a mode that introduces increased color contrast throughout the app. 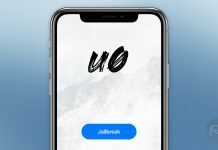 In terms of iOS-specific additions, users will be able to choose an option that always opens supported links in Safari Reader View. 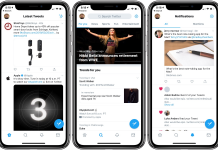 The Twitter redesign will begin appearing today as an update for those on the iOS version of the app, and the rollout is planned to continue over the next few weeks [Direct Link].